You’ve just made yourself a nice hot cup of cocoa, snuggled up to your roaring fire, and realized you don’t remember the last time you had your chimney cleaned; then you start wondering, is it really necessary to have it cleaned? According to the National Fire Protection Association Standard 211, “Chimneys, fireplaces, and vents shall be inspected at least once a year for soundness, freedom from deposits, and correct clearances. Cleaning, maintenance, and repairs shall be done if necessary.” Maintaining your chimney is important because it improves the efficiency of the chimney, protects the safety of your home and family, and can help prevent costly repairs and/or chimney fires. Chimneys can collect anything from creosote to animals and nesting materials, or even outside debris like leaves or branches. These items can cause an obstruction in your chimney, making it difficult for your fireplace to work efficiently. Obstructions make it difficult to properly filter the smoke out of your home, which may allow toxic gases such as Carbon Monoxide to get back into your home. Thousands of Carbon Monoxide related deaths and injuries are reported each year, but regular inspections and cleanings can help prevent these types of incidents. Creosote is a highly combustible substance that is produced when wood is burned in your fireplace. It is very acidic which can cause damage to your flue. Over time, it can build up leaving a black glaze on the inside of your flue. You obviously don’t want to have something flammable above your fire, so routine inspections and cleanings can allow you to keep an eye on the amount of creosote you are accumulating as well as removing any existing build up you might have. 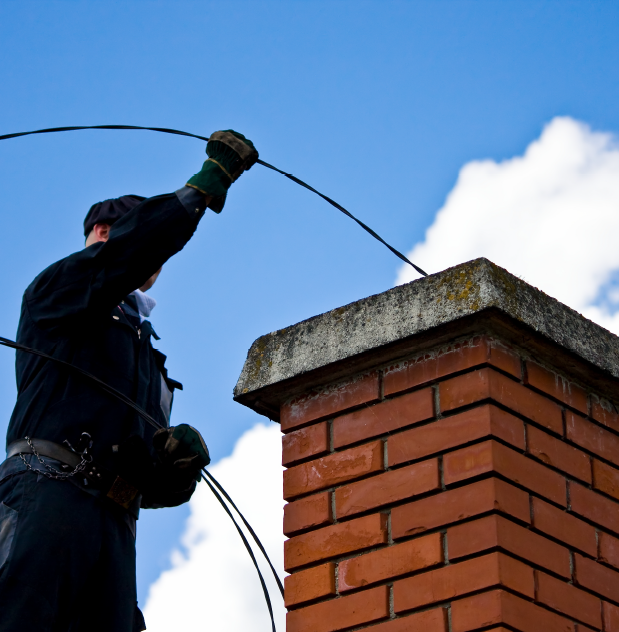 Routine maintenance can help reduce wear and tear on your chimney, essentially saving you time and money in the future. An inspection can help point out small problems before they potentially turn into larger ones. Technicians may be able to recommend minor repairs that could help prevent further damage. Here at Hancock Chimney Service, educating our customers about their chimneys and fireplaces is one of our top priorities. The more you know about maintaining your chimney the better you can feel about using it. When it comes to you, your family and your homes safety a simple phone call and 1-hour appointment can give you peace of mind that your chimney will perform its intended function if used properly.